15 Jun 2018 --- In celebration of the soccer World Cup, family-owned Belgium brewers, Brouwerij Martens, is offering its premium beer in 32 country-specific bottle designs on the French market. 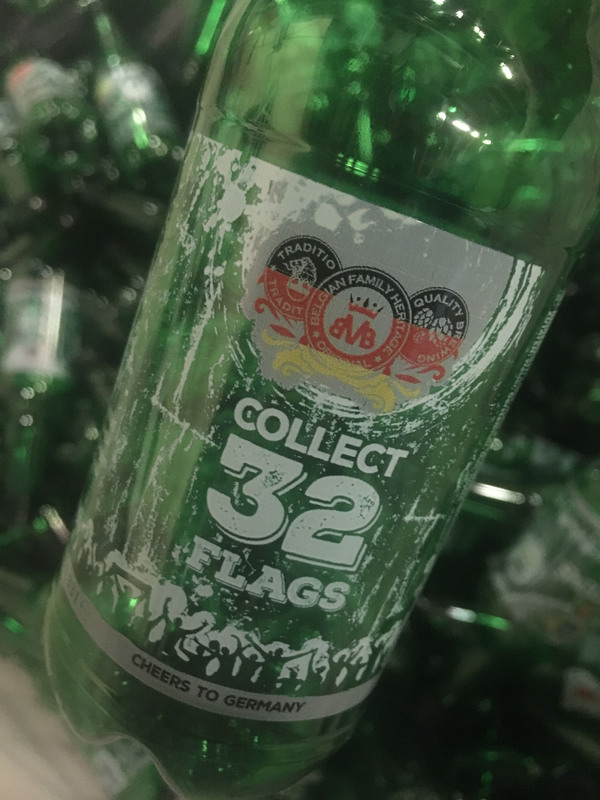 Various images of the participating nations have been printed straight onto the PET bottles using Direct Print Powered by KHS. Direct Print Powered by KHS is an innovative technology which enables brands to design individual bottles in batches of one or implement special marketing campaigns within a very short time. As with Martens’ World Cup campaign, the technology can be used to create new possibilities for consumer engagement including up-to-the-minute events, sponsorships, promotions, and collector’s series. Direct Print also boasts cost-efficiency and sustainability benefits. “Thanks to the high flexibility of our printing technology, it´s possible to print just the right amount of bottles - one or thousands of bottles – it does not matter,” says Theopold. “So the overproduction which you may have with labels because of minimum order quantity can be avoided. To waive labels and to print directly onto bottle reduces material waste and energy consumption for the label production and labeling process. The whole supply chain is reduced to a minimum. Bottles printed with the Direct Print process and inks can be recycled within the standard bottle-to-bottle recycling process and also recycled PET can be printed with this technology,” she adds. Click to EnlargeThe bottles produced using the digital printing process are also 100 percent recyclable. This was again confirmed last year by the European PET Bottle Platform (EPBP) renewing the certificate granted to the process. PET bottles processed by Direct Print Powered by KHS have no negative impact on the rPET and are thus officially approved for bottle-to-bottle PET recycling. 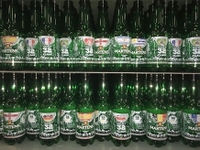 The Martens brewery in Belgium is now making good use of this innovative technology and together with a French supermarket chain is placing specially designed bottles on the shelves for the soccer World Cup. Back in 2015, the Belgian brewery was the very first beverage producer to launch directly printed bottles to market produced with the prototype of the Direct Print Powered by KHS system. Martens is convinced by the direct digital printing process and will also rely on the innovative technology from NMP Systems and KHS in the future, say the Belgian brewers. “With the cloud-based proprietary Direct Print Artwork Management Platform, brand managers can upload and color manage new decorations quickly,” she adds. “One main challenge was the very high precision which is necessary to print directly on bottles in high quality. We are talking about an accuracy of +/-10µm color alignment accuracy within a machine which is 11 meters long (5 colors). We are printing in high speed (max. 36,000 bottles/hour) and within a very dynamic process (bottles are printed during bottle transportation), so vibrations have to be avoided to reach that good print quality,” says Theopold. “On one hand the ink needs a very good adhesion directly on the bottle without any pre-treatment. On the other, the cured ink has to be separated from the PET during the common bottle-to-bottle recycling process,” Theopold adds. In addition, KHS is not printing on flat substrates, but on cylindrical shapes with form tolerances in an upright position. The print heads are mounted vertically so the ink conditioning had to be designed very carefully to meet these requirements. 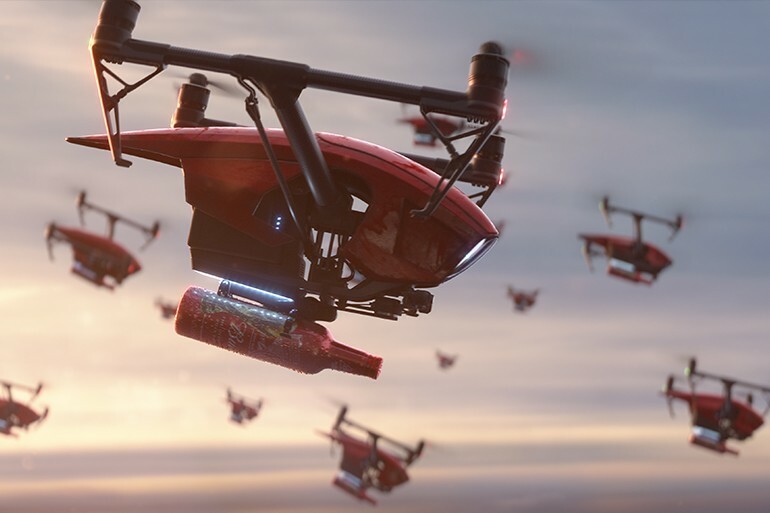 Budweiser, the Official Beer of the FIFA World Cup, unveiled its new global campaign, "Light Up the FIFA World Cup," which encapsulates the unparalleled energy of the world's biggest sporting event. Major highlights of the campaign include global advertising featuring the largest beer delivery to date, the deployment of eight million noise-activated Red Light Cups that light up in response to fan cheering, and a variety of integrated experiential, digital and social programs launching in more than 50 countries. "Our campaign is the largest in our company's history and demonstrates how we are bringing together fans from around the world over beer and their shared passion for football," says Miguel Patricio, CMO, Anheuser-Busch InBev. "Our campaign captures the celebratory, upbeat and premium experience of the Budweiser brand and fans will continue to see this come to life through our ongoing activations for the 2018 FIFA World Cup."